The best penny stocks to buy in April 2019 can earn you more than 60% gains. But it can be hard to identify the top penny stocks among the thousands available. Penny stocks are defined by the U.S. Securities and Exchange Commission as stocks selling for less than $5 per share. 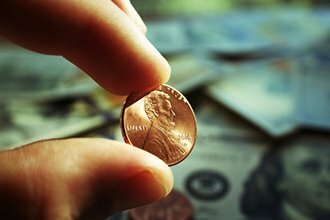 At those rates, gains of pennies can translate to returns of 100% or more. Last week, for example, Atossa Genetics Inc. (NASDAQ: ATOS) skyrocketed more than 130% to $3.51. One of its treatments, long in the experimental stage, was finally approved by the U.S. Food and Drug Administration (FDA). That wasn't the only penny stock to gain impressively last week, though. Akari Therapeutics Plc. (NASDAQ: AKTX) skyrocketed almost 123% to hit $4.08. These are just a couple of the 2,800 penny stocks listed on the New York Stock Exchange (NYSE) and Nasdaq alone. And not all penny stocks perform this well. While they can offer triple-digit gains, penny stocks can also go south to the same extent. Investors should not devote more than 2% of their portfolios to penny stocks, because it's a volatile asset class with an exceptionally high degree of risk. But our recommendation for the best penny stock to buy in April could rise as much as 70%. I’d really consider investing in this stock. Not only do less than 10% of analysts suggest buying, but just four years ago in 2015 they lost $4 billion. The stock has been in decline since that report of losses in 2015, and the P/E ration is very low, suggesting analysts are NOT expecting high returns.